This year’s annual meeting of SEALG will take place in Leiden on 28-29 June in collaboration with the Asian Library Leiden. As in previous years, we aim to have the presentation of selected papers on library and archive related issues on Friday, followed by the Annual General Meeting (AGM) on Saturday. We invite proposals for papers on themes relating to collections, archives and the library work as well as recent developments in the field of South East Asian Studies. Please submit your paper proposal including an abstract to Doris Jedamski not later than by 31 May 2019. It would facilitate our planning enormously if you could let us know by email if you are planning to attend, and if you are planning to stay for both days or only the AGM on Saturday. Everyone will be most welcome and participation is not restricted to library or archive staff. SEALG proposed a panel with the theme ‘Collecting, Preserving, Showcasing: Cultural Pasts of Southeast Asia’ which was accepted by the conference organisers. The panel is convened by Holger Warnk (Frankfurt) and Doris Jedamski (Leiden), with some assistance by Jana Igunma (London). The SEALG Annual Meeting will take place in connection with the EuroSEAS Conference – detailed information will be sent to all members by email separately. Globalization, new communication technologies, digitization – all buzz-words to some extent – are both stimulating and challenging the world of library collections and archives. The act of collecting itself has tremendously changed in nature, so have the expectations of users of collections. Over the last two decades, the phenomena behind those buzz-words showed an undeniable impact on the ways sources and materials from other cultures were collected, preserved, made accessible and showcased to the public. clientele but also the change in physical aspects, storage, and presentation/showcasing of the collections. Hence one question might be: What kind of sources will survive longer – physical or digital? And what impact does this have on prioritization of certain technologies, or on preservation – related decisions? Participants in this panel will address the challenges related to collection management and major shifts in library and archive policies, but they will also reflect on the shifts in the actual and/or desired usage of such collections. This panel seeks to facilitate the exchange of experiences between representatives of the library/archival sphere, museums and the scholarly world. Therefore participants from all three fields are welcome. Please email paper proposals by the deadline 15th May 2017 to Holger Warnk (h.warnk@em.uni-frankfurt.de) and Jana Igunma (jana.igunma@bl.uk), and kindly copy in Dr Doris Jedamski (d.a.jedamski@library.leidenuniv.nl). We are looking forward to hear from you and to receive interesting paper proposals. 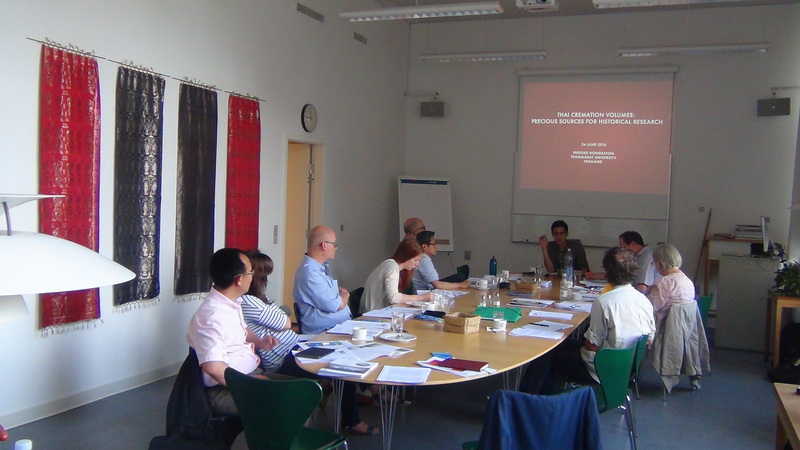 The Annual Meeting of the Southeast Asia Library Group 2016 took place on 24-25 June 2016 in Copenhagen (Denmark), hosted by the Library of the Nordic Institute of Asian Studies (NIAS). Participants from Denmark, France, Germany, the Netherlands, Sweden, Thailand and the United Kingdom attended this year’s meeting. On Friday morning, 24 June, all conference participants and guests were welcomed by their host, Inga-Lill Blomkvist, NIAS Library & Information Centre, and Dr. Doris Jedamski, Chair of the Southeast Asia Library Group. Holger Warnk opened the first panel with his paper on “Malay Islamic Publishing in Malaysia in Jawi Script”. The Arab-based Jawi script has been used for the Malay language for centuries. However, in religious publishing for pupils, students and scholars affiliated with traditional Islamic schools in Malaysia the speaker noted a drastic decline in recent years and a growing tendency toward using the Latin script instead in religious publications. Holger emphasized the urgency of collecting those diminishing publications in Jawi more systematically, as had been done by Sophia University (Tokyo). Sud Chonchirdsin spoke on the “Vietnamese Manuscripts at the British Library”, which for obvious reasons, so he noted, were clearly outnumbered by the plentiful collections of hand-written books in Burmese or Thai kept in London but which, nonetheless, represent various historical and literary styles. Sud elaborated on the various variants in script and language of those Vietnamese books and scrolls and also analyzed the mythical animal symbolism present in the beautifully illustrated manuscripts influenced by Chinese traditions. The second session commenced with Preedee Hongsaton and his presentation on “Thai Cremation Volumes: Precious Sources for Historical Research”. Preedee depicted the beginnings of this particular genre and further development since the l880s. Cremation volumes, limited editions of chiefly Buddhist texts, also often provide valuable biographical information on the deceased, and therefore they can form magnificent sources in the field of social history, the history of emotions, and social anthropology. Predee primarily related to his research of the rich collection of more than 4.000 titles in ca. 3.000 volumes kept in the National Library of Australia. Jotika Khur-Yearn then presented his paper “Following the Footprints: H. J. Inman and his Remarkable Works on Shan Manuscripts at SOAS University of London”. Jotika gave an overview of the collection of Shan manuscripts at SOAS Library with a focus on two particular manuscripts that have been well researched by Captain J. H. Inham who taught Shan at SOAS between 1936 and 1948. Inham, in particular, pioneered the studies of Shan literature and manuscripts which to date have been heavily understudied. After the lunch break [lovely Scandinavian sandwiches served at the conference venue] it was time for the last presentation. Doris Jedamski reflected on “What’s in an Archive?”. She presented fascinating examples of several recently acquired archives, both from private persons and organization and associations, still to be processed and added to the Leiden University Library collections. Among the examples were the Jager-Maasen family archive, the research archives of the scholars Hildred Geertz and Frans Hüsken, as well as the so-called Koopman-archive covering four generations of Dutch colonial power, but also the archive of the Batavia Voetbal Club (1903-1955) and its alumnis. In the afternoon the conference participants visited the Royal Library, where the Research Librarian Bent Lerbæk Pedersen showed us a great number of treasures from the Southeast Asian manuscript collections. 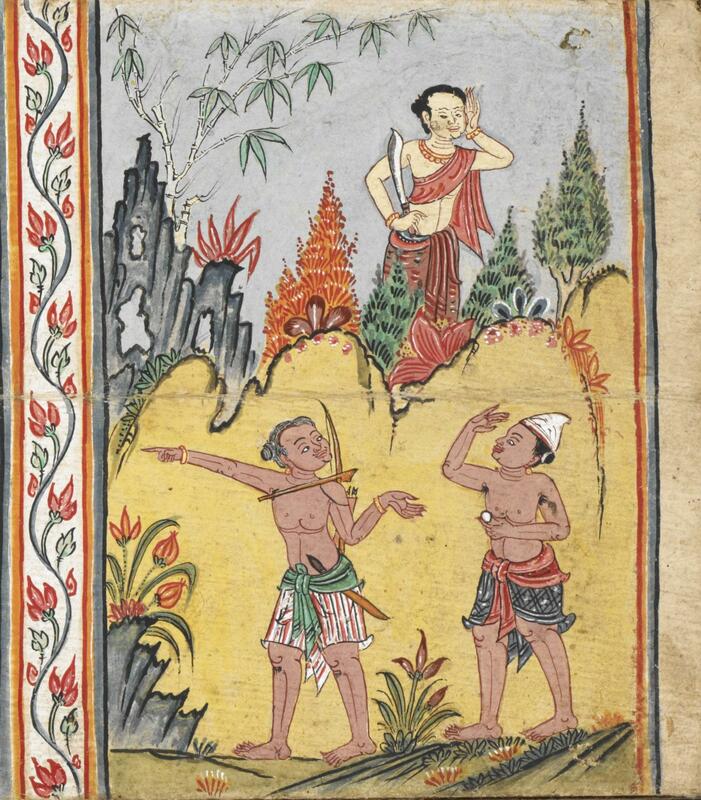 Among them were Batak tree-bark books (pustaha), Khmer books and Burmese manuscripts, Javanese palm leaf manuscripts (lontar) and letters to the Danish merchant-adventurer Mads Lange written by his Balinese wife on palm-leaf in Malay language. After Bent’s retirement next year, his position will most probably not be filled again. The day ended with a lovely conference dinner in the wonderfully Danish Toldbod Bodega. On Saturday, 25 June, we were kindly allowed to hold our Annual SEALG Business Meeting at the conference venue at NIAS. Present were Inga-Lill Blomkvist, Christophe Caudron, Sud Chonshirdin, Claudia Götze-Sam, Per Hansen, Doris Jedamski, Jotika Khur-Yearn, Holger Warnk, and Gerald Jackson, who attended part of the meeting as a guest. Apologies had been received from Annabel Gallop, Jana Igunma, Mikihiro Moriyama, Margaret Nicholson, Louise Pichard-Bertaux, San San May, and Mia Nilsson. Doris Jedamski welcomed all participants. After establishing the quorum, she presented the agenda, the minutes from the Annual Meeting 2015 in Paris, and the financial report that once again had been compiled by our treasurer Margaret Nicholson. The following item on the agenda was the election of the committee. Doris Jedamski as Chair, Holger Warnk as Vice-Chair, Margaret Nicholson as treasurer and Jotika Khur-Yearn as Secretary of SEALG were re-elected in these functions. Louise Pichard-Bertaux had informed the committee beforehand that she had decided to step down as member of the committee due to her new work situation. Christophe Caudron and Mia Nilsson (in absence) were welcomed as new members of the committee. All other committee members were confirmed. Jana Igunma, also confirmed as member of the committee, had beforehand agreed to continue her work on the SEALG Newsletter and SEALG blog with the support of other committee members. Responding to a proposal from the well-known and experienced academic publisher NIAS Press, represented by Gerald Jackson, the long aspired and repeatedly discussed SEALG book project had been put back on the agenda. Gerald Jackson kindly joined the meeting to discuss a possible joint NIAS-SEALG project that should exceed a mere conference volume. Gerald presented his ideas to the group: the proposed book should be no erratic compilation of articles but a means to put Southeast Asian Studies and the collections back on the map. Such publication could even serve as some kind of handbook to be used for profiling several special Southeast Asian collections in relation to the world of teaching and research. For this purpose, it would be essential to bring together librarians/curators and scholars/researchers with experiences with particular Southeast Asian collections and to spark a dialogue between both parties. This dialogue could be documented in the book as well. A first ‘brainstorming’ could take the form of a panel at the EUROSEAS conference 2017 in Oxford. Questions to be raised might include: What is collecting, how does it change (Jedamski)? What are the sources or materials, how are these items used (Caudron)? How does in the age of information science the use of sources change and effect research (Caudron)? What kind of sources will survive – both physical and digital (Jackson)? Furthermore Gerald raised the question what audience the proposed book should address: should it be an academic book or a kind of source book? He mentioned the option to think of an additional series with volumes focusing on one particular region at a time. The reactions covered both enthusiasm and apprehension; in particular practical aspects were brought forward: Who will do the extra-load of work that it will take to put together such a book? How to cover the various regions equally? Is this kind of publication really necessary – aren’t there enough other platforms to promote our collections/activities. It was agreed to set up a group that should look into the possibilities of organizing a EUROSEAS panel in preparation for the proposed publication. A tentative title will be needed soon but could not be formulated as yet. Gerald agreed to contact a couple of scholars who might be interested, so did Christophe Chaudron, Doris Jedamski and Holger Warnk. Doris and Holger announced already their willingness to be members of the steering group. Inga-Lill Blomkvist reported on the long-term effects that the drastic changes of the recent years have brought about: The fusion of the NIAS collection with the University Library has more or less anonymized the NIAS collection. For scholars visiting NIAS, the change of location results in time-consuming travelling, the reduction of staff has made it more difficult to support and facilitate research activities. However, Inga-Lill has accepted the challenge and expressed her keen interest to expand the digital collections of NIAS. Christophe Caudron provided an overview of the IrASIA and CREDO libraries in Maison Asie-Pacifique in Marseille. Serving two universities, his library faces various challenges. As in many other libraries space for books might become a problem soon. Claudia Götze-Sam announced the good news that their application to the Specialized Application Services provided by the Deutsche Forschungsgemeinschaft (DfG) has been successful. Together with their partners from the South Asia Institute at the University of Heidelberg this special budget will secure the acquisition of books on and from Southeast Asia for the coming years. Moreover, Claudia told us about the special training programmes that have been introduced for their library users. Holger Warnk informed the group that in May 2016 an electronic loan system was finally introduced at the Library of Southeast Asian Studies at Frankfurt. This new loan system allows for inter-librarian loan. The integration of the OPAC of the former Asia House Library is still delayed due to severe technical problems. Furthermore, Holger evaluated last year’s Frankfurt Book Fair, in particular the performance of its Special Guest of Honour, Indonesia. Per Hansen mentioned dramatic budget cuts which might lead to the dismissal of numerous colleagues. He also gave a short account of the acquisition policies, which strikingly enough exclusively allows the Asian Studies collections to buy printed materials, unfortunately on Social Sciences only. Jotika Khur-Yearn reported that the SOAS Jubilee in 2016 will see the opening of a new building for the school in September 2016 which then will also include several exhibitions. SOAS Library has carried out several cooperations with British Library, e.g. in digitalization projects. However, SOAS Library has also faced budget cuts, which will affect staff members, but not the acquisition of books. Sud Chonchirdsin provided a summary of the latest developments at British Library. The retro-cataloguing of the old card catalogue of books in vernacular languages will be continued as well as the digitization of Southeast Asian manuscripts. The new Asia-Africa Blog of the library has attracted a great many visitors and apparently had quite some impact on the website. Finally, it is now allowed for users to use their own cameras in the reading rooms. Doris Jedamski informed the group about the progress of the Asia Library at Leiden University which will formally opened in September 2017. This achievement will be celebrated with an “Asia Year” in 2017 in the city of Leiden and beyond. The large-scale preparations are ongoing and very time-consuming. 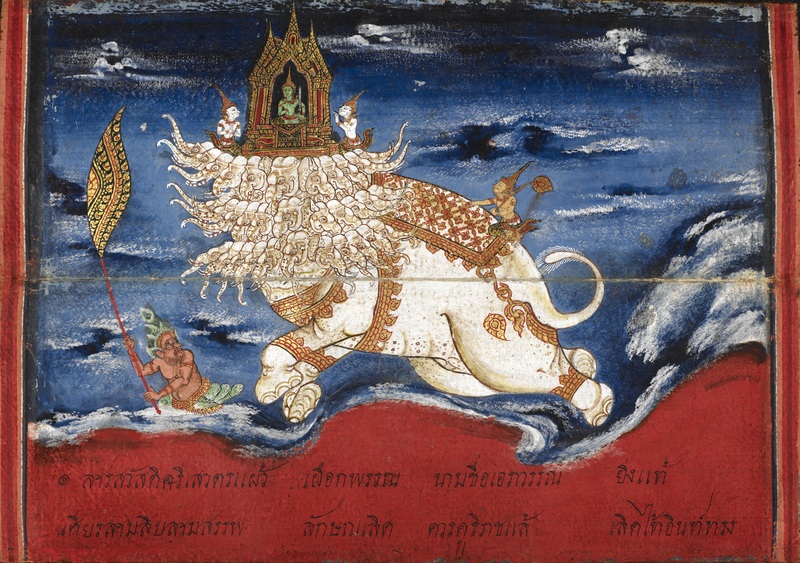 Apart from a book publication, there are three exhibitions planned for 2017, all involving the South and Southeast Asian collections. Massive retro-cataloguing projects have started and parts of the collection are being digitized. At the same time the UB Leiden has chosen to introduce various new programmes, for instance ALMA, MARC 21, or Islandora. On top of that, the website is also entirely renewed. The next item on the agenda was the SEALG Meeting 2017. 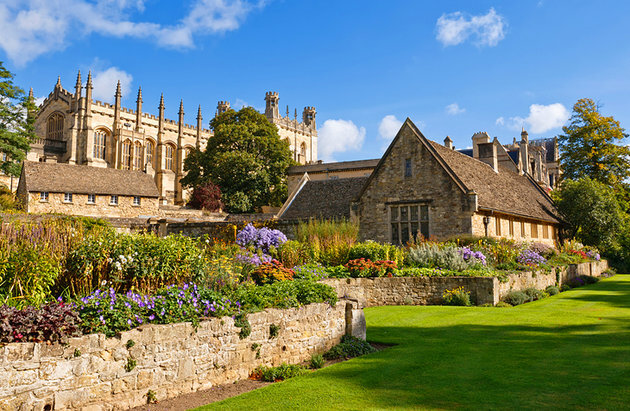 It was agreed that an effort will be made to organize next year’s meeting once again as a panel of the EUROSEAS Conference, which will take place in Oxford, on 15-18 August 2017. The deadline for the submission of panel proposals has not been announced yet on the EUROSEAS website. A SEALG proposal will be put together as soon as possible. 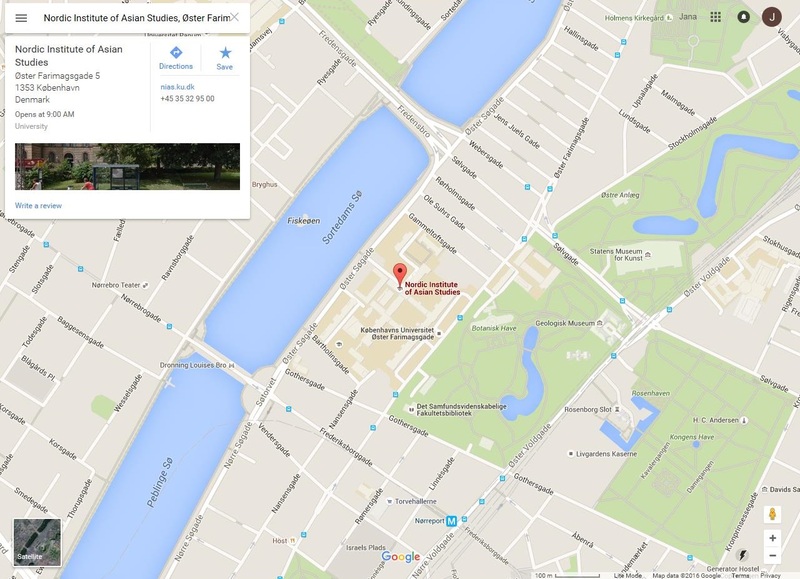 We hope again to attract participants and audience from both the library and the scholarly world. Leiden was mentioned as an option for a joint SEALG-SAALG conference in 2018. The discussion on possible SEALG fund raising has been postponed again due to lack of time, but shall be put on the agenda for the committee meeting in 2017. Concluding the meeting, and on behalf of Jana Igunma, Doris briefly reported on the SEALG weblog and forwarded Jana’s appeal to all members to send in contributions. Concluding this report, our thanks go to Inga-Lill Blomkvist and her team from NIAS for the perfect organization of a wonderful meeting! You are cordially invited to participate in the SEALG Annual Meeting 2016 to be held in collaboration with the Nordic Institute of Asian Studies in Copenhagen from June 24 to 25, 2016. As in the years before, the SEALG Meeting combined with a one-day-conference will be a fabulous opportunity to meet with colleagues from all over Europe (and possibly beyond). We all encounter similar problems in this rapidly changing world of libraries and archives. SEALG hopes to stimulate the exchange of information among Southeast Asian librarians, to strengthen the network and to help facilitate our everyday work. Participation in the SEALG Annual Meeting offers SEALG members also the opportunity to present their original work and/or to report about projects and initiatives from their institutions. Apart from librarians we also wish to encourage scholars to contribute to the conference with a presentation or a research paper focussing on library collections (for more information please see the attached Call for Papers). Hence, please forward this invitation to researchers who might be interested in attending the SEALG meeting/conference. In preparation of the SEALG Annual Meeting 2016, we invite proposals for papers on any theme relating to collections, archives and the library work as well as recent developments in the field of South East Asian Studies. Please submit your paper proposal including abstract to Inga-Lill M Blomkvist not later than by 31 May 2016. We encourage submissions from library and archive staff as well as from scholars and graduate students. Publication of a paper will be possible in the SEALG Newsletter which is online at www.sealg.org. For more information, please contact either Inga-Lill Blomkvist or Doris Jedamski .